This 59″ by 28″ sign is rather simple. The background is white and the text is red. 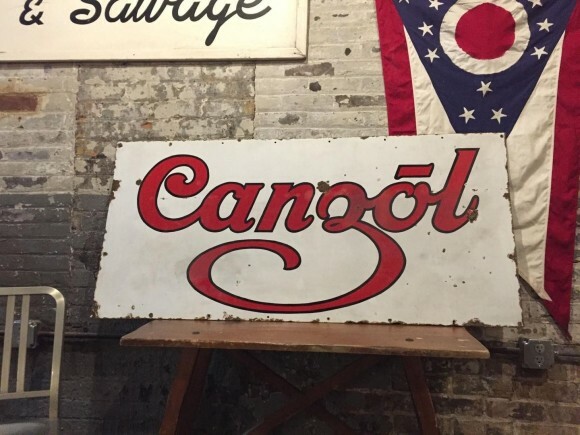 The text simply reads “Canzol.” This sign is likely to be found as a single sided porcelain sign.